This incredible poster presents a tremendous amount of information in an easily understandable way. 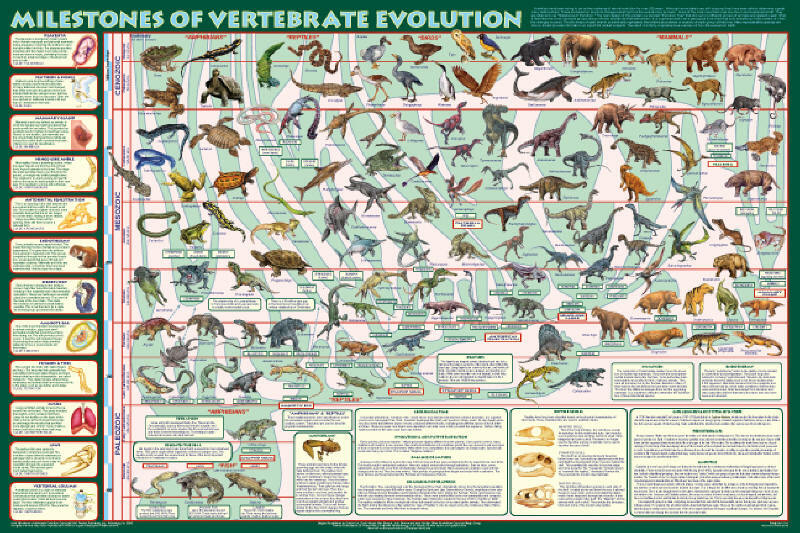 Along the left edge, the major milestones (physical developments) of vertebrate evolution are shown and described. The main design is an “Evolution Tree” superimposed over the geological time scale. (See Eras of Life on page 7.) The milestones are marked on it to show the resulting animal clades. The beginning and end of each branch shows when they lived; the thickness of the branch indicates their relative abundance or scarcity during each geological period. 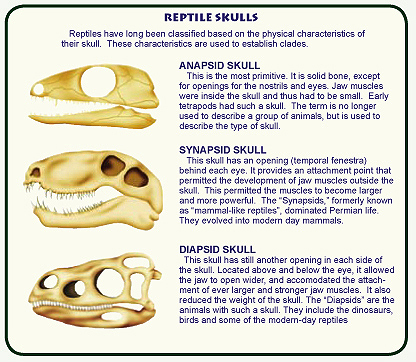 119 species are shown, all in the proper geological period. This makes it easy to see which animals lived at the same time. Interesting insets explain everything. 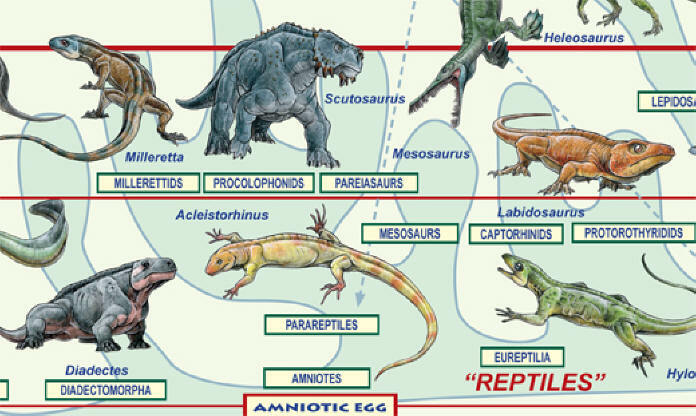 These provide the foundation for grouping similar animals together into "clades."